Feb 25, 2015 (RALEIGH) — Yesterday’s surprise snowstorm in most of North Carolina will seem like a minor inconvenience when the storm erupts in some dark places after certain parties learn about a minor one-page bill, filed by Representative Michael Speciale, late that afternoon. The simple measure will apply the same anti-partisanship staffing rules at early (or “one-stop”) voting locations as the law already requires for Election Day voting precincts. The democratic spirit of election law is to create a system so transparent that both sides can see that it was a fair election and then agree to support the winner. It’s a guiding concept behind the “consent of the governed” clause in our Declaration of Independence; but staffing rules for one-stop voting violated that principle. It is illegal for counties to hire employees based on their political affiliation, according to Rep Speciale. Speciale’s bill, short titled, “Same Reqs/Officials/Early Vote & Election Day” (HB 116) may complicate the hiring procedures for one-stop voting locations, but it patches a serious vulnerability in NC election law. He drafted the bill to apply the same election-integrity staffing rules, already required for Election Day (per G.S. 163-41), to employees at one-stop sites (per G.S. 163-227.2(g)). For the past 15-ish years, Democracy-minded groups from all across the nation have advocated satellite early-voting locations as a convenient way to increase voter participation. While not personally in the Legislature at the time, Rep Speciale characterized the staffing loophole more as accidental than intentional. According to NC State Board of Elections data, 2,830,639 votes were cast in the 2014 statewide race for US Senate; 1,085,518 of which (or 62.2%) were cast at one-stop locations. While the number of one-stop locations is still being researched for this story, the 2012 presidential election figures were available, and according to SBOE Agency Counsel, George McCue, there were 365 early voting locations in North Carolina for that election. 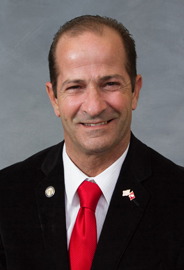 He is an Indiana native who studied law at University of Wisconsin and joined the NC State Board of Elections 2011. There are several uncomfortable questions that inquisitive activists, bloggers, paid journalists and even election board members might want to ask their Director at the next County Board of Election meeting. For example. . .
1. What sort of deliberate effort was taken in your jurisdiction to allocate the employment positions at early voting locations according to political party affiliation? 2. It appears that doing so might have made sense, but it also might have been illegal under hiring practices for government employees. If you had such a program, how did you balance these two competing interests? 3. What documentation can you present that would demonstrate how you allocated these positions? 4. What safeguards can you present that would prevent an individual county employee, acting alone, from deliberately packing a satellite voting location with people from only one political party? 5. If such a scheme would have happened in a past election, what systems or safeguards are in place for you (the Director) or the Board of Elections to detect such mischief? 6. Eliminating all conspiracy theories, the only county employee who would ever need to know about such a plan being executed would be the employee who actually assigned specific persons to particular duties at each early-voting location. Who was the employee in your county responsible for that task and what was his/her salary? 7. Where is the list of people who were hired by your county for those early voting locations and where is the documentation that listed them by position at their specific early-voting location? 8. What was the political party affiliation of each of those persons at that time? 9. May we see that documentation? In closing, we ponder the cautionary tale of how California paved the way for staffing problems at their election locations. According to a recent report the Election Integrity Project (of CA) compiled, their state’s manning requirements were handled so haphazardly that observers trained by the EIP noted complete chaos at the polls, as untrained election workers were recruited for voting locations, resulting in anarchy. There were even rumors of non-US citizens being employed to regulate the access to the ballots. Seeking to head off any discussion on the matter in California, their reactionary (and veto-proof) Democrat-controlled General Assembly proffered a law that Governor Jerry Brown quickly signed. But rather than end the practice of staffing voting locations with non-US citizens, the law codified it. That’s right. They passed a law in California that actually allows non-US citizens to be in control of polling locations. Hmmmm. We wonder how many other states have a similar loophole. We will be sending this analysis to our sister organizations in other states, but anybody familiar with election laws in other states are welcome to contact us at VoterIntegrityProject.com with your findings on this question. Meanwhile, back in the Tar Heel State. . .
Representative Speciale never speculated on any of my dramatic second or third orders of effect to his small “tweak” to NC election law, but he did acknowledge that his law would help slow down any attempts at personnel stacking; so we congratulate him for helping our state forestall such a catastrophic California scenario. We hope his innocuous (but fabulous) piece of legislation will be adopted by unanimous consent and that Gov McCrory will sign it just as quickly. To that end, we encourage our readers to forward this post to your state representatives and senators (if in NC), asking them to co-sponsor House Bill 116. If out of state, please ask your lawmakers to investigate whether the same loophole exists in your state. As to my own Representative Grier Martin, he is on the Board of Directors at the North Carolina Center for Voter Education; and while this bill isn’t exactly a voter education measure, we hope he will join Rep Speciale as a co-sponsor to this fine piece of legislation.